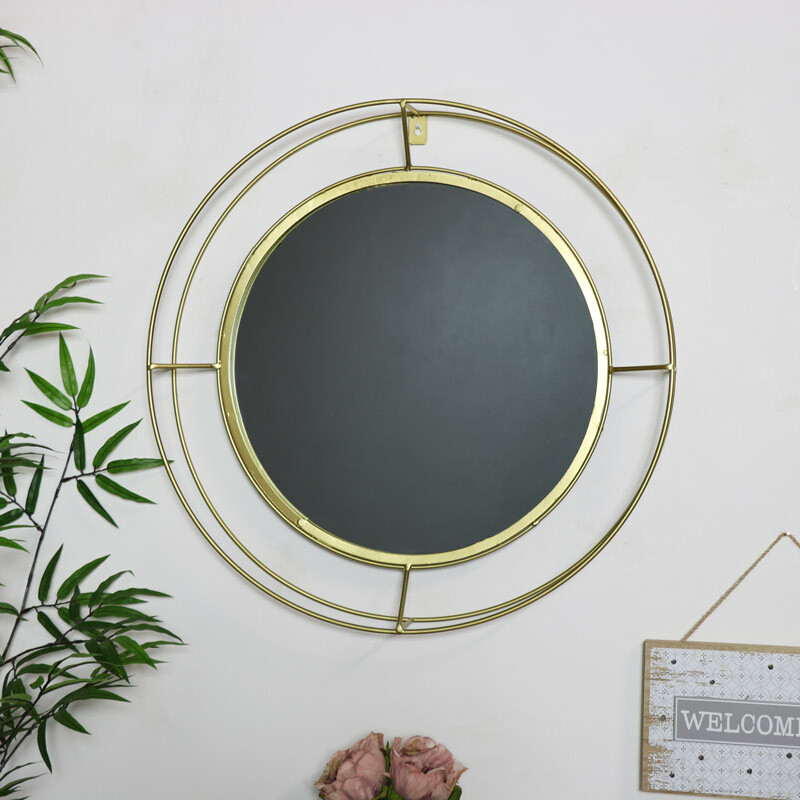 This Round Gold Metal Framed Wall Mirror is perfect for above a mantle piece, bathroom vanity or dressing table. This has a trending round design and luxurious gold finish. Ideal for lovers of gold decor or glamorous homes. The mirror features a 3d caged design that frames the mirror beautifully. A definite statement piece that will add a feel of light and space to a room. Perfect for lover of glamorous or luxury decor. This would look amazing in a bathroom, bedroom, living room or hallway. 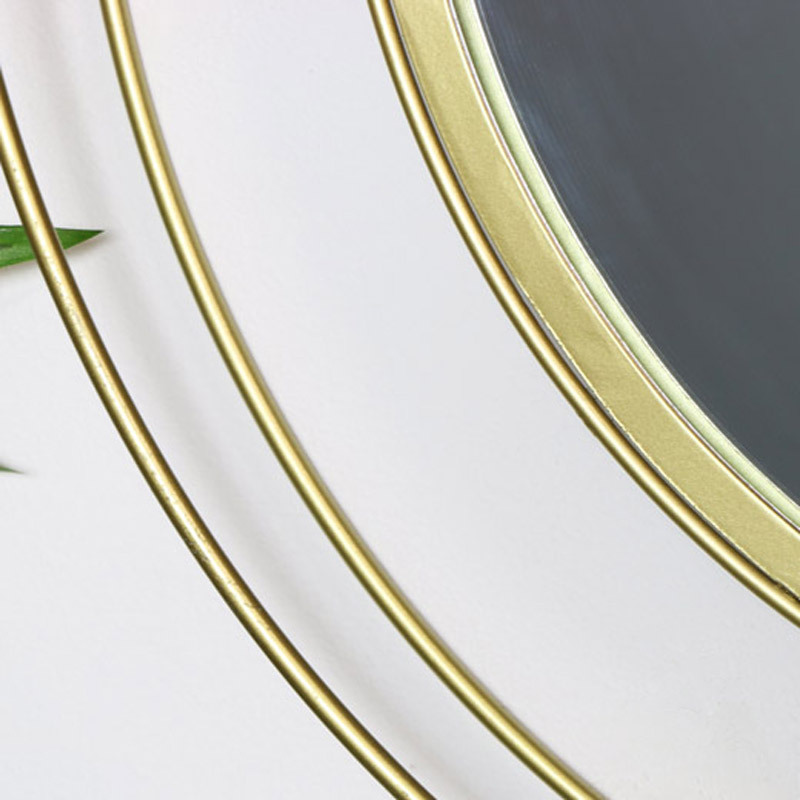 This Round Gold Metal Framed Wall Mirror is perfect for above a mantle piece, bathroom vanity or dressing table. This has a trending round design and luxurious gold finish. Ideal for lovers of gold decor or glamorous homes. 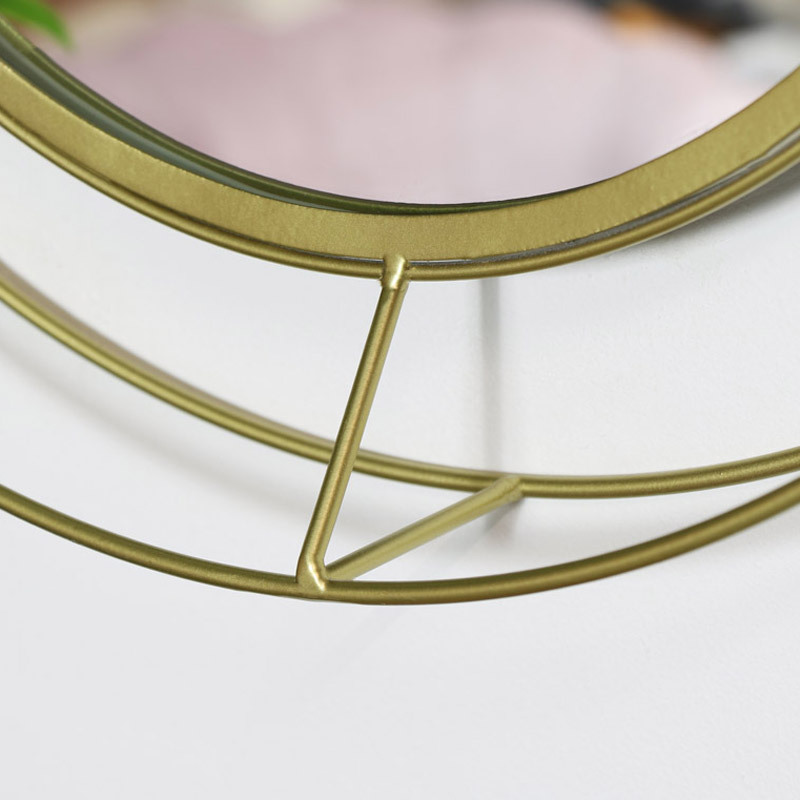 The mirror features a 3d caged design that frames the mirror beautifully. A definite statement piece that will add a feel of light and space to a room. Perfect for lover of glamorous or luxury decor. This would look amazing in a bathroom, bedroom, living room or hallway.